With Hillary Clinton’s campaign for the 2016 Democratic nomination for President now in shambles, Corporate America seems all of a sudden on the hunt for a viable pro-“Corporate America” alternative. Bloomberg, Corporate America’s leading financial media empire, just produced an interesting study documenting that since California Governor Jerry Brown took office in January 2011, California’s 63 publicly traded companies in the Standard & Poor’s 500 Index produced the highest total returns of any of America’s five most populous states. With Hillary in freefall, Brown’s star is rising. If you follow the money in campaign contributions as compiled by OpenSecrets, Hillary Clinton has been Corporate America’s favorite candidate for President. Despite Barack Obama winning the 2008 Democratic primary and going on to be elected President, he only raised $6.8 million from his top 10 public companies and their Wall Street investment banks and lawyers. John McCain, after winning the Republican primary and losing the Presidential election, only raised $2.5 million from his Corporate America top 10. But Hillary Clinton raised over $5 million from her Corporate America top 10 in a losing primary effort. Had she won the primary and the Presidential election, Corporate America would have ponied up multiple millions in more cash for Hillary. Looking for a Hillary alternative, Bloomberg documented that California companies in the S&P 500 booked returns for appreciation and dividends over the last four years of 134 percent. The number two state was Florida with an 82 percent return. Supposedly pro-business and energy-friendly Texas was third with only a 52 percent gain. Governor Jerry Brown, in his State of the State address on January 24, credited California with overtaking Brazil, Russia, and Italy as the world’s seventh-largest economy. 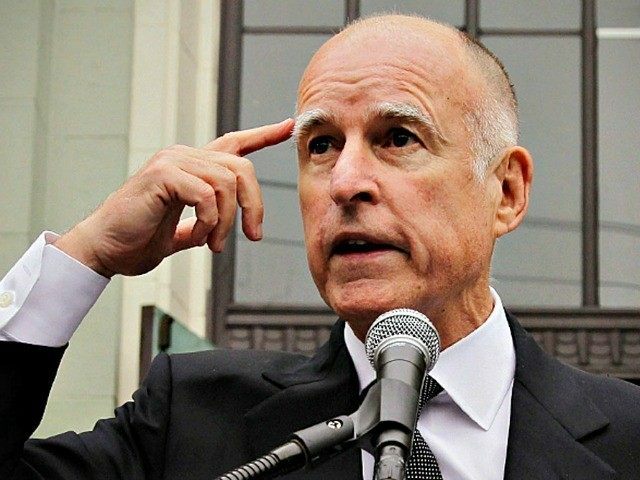 But my analysis for Breitbart of the factors that drove California’s GDP growth was substantially due to the importation of impoverished foreign immigrants, driving the state’s highest annual population growth rate in nearly a decade, according to the state’s finance department. In stark contrast to Corporate America, the vast majority of main-street type businesses find California one of the worst states to do business. California’s tax structure is the third worst for business in the U.S., according to the Tax Foundation. Forbes ranks California’s regulatory environment the eighth most burdensome and its business costs structure the fifth highest among the 50 states. California companies not only outperformed the S&P 500 Index by 23 percent over the last four years, they were uniquely number one for several industries: healthcare had a 267 percent gain; consumer staples were up 302 percent return, specialty pharmaceuticals booked a 235 percent return, and biotech spiked up 333 percent. Even in energy companies, California led the nation with a 30 percent gain over the period. California may have the highest state taxes and regulations, but Corporate America has the financial capability to be able to out-source the type of labor intensive domestic manufacturing operations that get pounded by those taxes and regulations. Bloomberg recently highlighted that, according to a U.S. Senate investigation, Apple booked worldwide pretax profit in 2009, 2010, and 2011 of $65 billion, but only paid $5.3 billion in federal taxes due to off-shore shelters. Despite the 39.1 percent top federal tax rate, Apple’s “true U.S. tax rate” was only 8.2%. Another top Corporate America tax dodger headquartered in California was Google with a 2.4% foreign tax rate. Corporate America is all about the numbers that work for Corporate America. If Hillary Clinton’s candidacy is beginning to fade, Bloomberg just lit-up Jerry Brown as possibly Corporate America’s new favorite candidate for President.